OK, what time comes in as a close second? Giving someone their life back! If you take the time to learn First Aid, CPR and how to use the club’s AED devices you will have the tools to possibly save someone’s life. Statistics show that over 90% of cases where someone had to do CPR it is on a person that they know, a family member or friend. 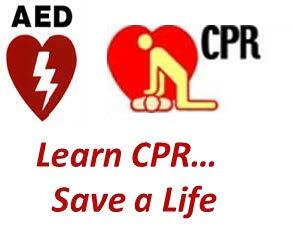 We.will be conducting brief classes covering basic First Aid, CPR and AED use during the club clean up day. There is no cost and all.are welcome. available on the club website at this link.